equs wrote: You only can get the fly spell in Celeste (MM7) and Free Heaven (MM6) or fly with the dragon abilities. I had the same problem in Alvar. Don't waste your time, this spell will never appear there. waltc wrote: I have noticed playing through MM6 at the moment, in various cities, the following happening a few of times: I enter a store--say, a weapons store--ask to see special/more expensive items, and suddenly I'm seeing a weapon that is far too advanced for what I should be seeing available for sale at that time in that store in that city. IE, a weapon that should not be displayed for sale at that store at that time--and as soon as that happens--maybe ten seconds later--the game simply crashes to desktop. Boom--just dumped right out. Cure: reload the save, reenter the same store--"out of place weapon" is no longer available, as it correctly should not be, and the game does not crash and I can play or shop in that store as long as like. I've seen that happen at least 3-5 times, which is to say--not very often at all. But it does happen. It's a simple bug, obviously. It may even have happened occasionally in the original game, IIRC. Workaround: Save much and save often and reload if necessary... That way, when the store inventory displays properly you'll know you are in no immediate danger of a crash and can spend as much time browsing in the store as you like. Thanks for reply and advices!! Last edited by Jamesx on Jan 31 2018, 19:41, edited 1 time in total. - Masters of water magic can sense spots, where town portal spell will work like dimension door spell scroll. Status text alerts about such spot presence. Jadam: Murmurwoods - druid circle, Enroth: Dragonsand - eagle pedestal in Abdul's resort, Antagrich: Paramount guild of water at Evenmorn Island. There are two spots at each continent, second is near of one of available town portal locations, keep it a secret for now. Just discovered another not implementer feature at MM6 NWC secret dungeon: potion machine at X 750 Y -4750 gives useless MM6 potions, which can't be mixed. Could you please change them to MM8 potions? If you travel to Murmurwoods (mm8, Jadam) from Alvar , go to the right from the start point. There is a dungeon calls Druid Circle. Don't go inside, just cast the Town portal spell beside it. If you are at Enroth, you need to go to the Dragonsand. The easyest way to get there - from NWC dungeon. There is a small settlement calls Abdul's resort and the pedestal where the eagle statue must be set. I did not try it, but I think it should be work like at Druid Circle - cast the Town Portal beside the pedestal. Last edited by Jamesx on Feb 3 2018, 16:42, edited 1 time in total. Males a, b and h are based on cliric body pc07, male b is based on pc03 knight body. All files from archive are replaces original mm6 images in icons.lod! Don't forget to make a backup before use this pack! Last edited by Jamesx on Feb 4 2018, 12:07, edited 1 time in total. Hello, patch link have been updated. Four new paperdolls added (elfs, man and woman), fixed issue with jumps on non-flat structures in outdoor maps, NWC dungeon in mm6 now gives correct items. I've maden some changes in RemoveHouseRulesLimits.lua, it may affect recent problems with shops, but may not, tell me. Fixed issue with shops in russian localization, redownload and reapply it, thanks. Darrel wrote: I am starting a play through in the might and magic 6 world, and one of the things I noticed is none of the 6 classes available can disarm traps very well at all. So there are a lot of chests I cannot open.Is there any way to have trainers for the disarm skill on this continent to ignore class restrictions? Or some other way to get around this fact?Also without continent jumping , are their trainers available to train in armsmaster and identify monster? Are there trainers to grandmaster in any skill? And if you keep a dark elf as the dark elf class, and the Minotaur as a Minotaur class , I am assuming there is nothing there to promote them. Basic disarm trap can be learned in any mercenary guild in Enroth, i'm not sure if there are further trainers, i'll check it. There are no grandmaster trainers as it was in MM6. Yes, noone can promote Dark Elfs and Minotaurs in Enroth, but i've allowed these classes to be choosen, because their summary of skills is already equal to summary of first promotion, they can became masters without completing any quests, they got that advantage in cost of necessarity of traveling to be promoted. Darrel wrote: And why can't a Minotaur become a paladin, considering that a Minotaur is essentially mm8's version of the Paladin? This is discussable theme, i have not allowed them, because their basic class is already paladin-alike, you can change "Character selection.txt" in "...\Data\Tables" folder to experiment with minotaur paladins. Darrel wrote: And balance wise mm6 wasn't made with a movement mode during turn based combat in mind. And all enemies seem to move real slow, making them easy to mass slaughter them with arrows. They need a much faster movement speed.Otherwise enemies like followers of Baa, and Cutpurses just seem really pathetic. As i rememeber, followers of Baa and other monsters of that kind were easy targets even in original MM6, but on the way to Sweet Water, more and more monsters getting ranged attacks, also other are not that slow (like harpies). I've added this table in new patch, thanks a lot. Jamesx wrote: Males a, b and h are based on cliric body pc07, male b is based on pc03 knight body. It is just wonderful, I'll add them in next update. found a little bugging in the temple of baa (ironfist): the cauldrons display "+x resistance" when clicked, but the chosen chars resistances doesnt add up to it. Last edited by justl on Feb 4 2018, 15:20, edited 1 time in total. "Reinstall Necessary: Might and Magic VIII is having trouble loading files. Please re-install to fix this problem." (I put the files in like described I think and I have the gog version and the patch). Rodril wrote: Hello, patch link have been updated. Four new paperdolls added (elfs, man and woman), fixed issue with jumps on non-flat structures in outdoor maps, NWC dungeon in mm6 now gives correct items. I've maden some changes in RemoveHouseRulesLimits.lua, it may affect recent problems with shops, but may not, tell me. Fixed issue with shops in russian localization, redownload and reapply it, thanks. All magic guilds in Free heaven are working now with russian localization! Haven't noticed any other problems with the shops yet)) Thanks! But the following works well with Rodril's mod & DGVoodoo2.54 (and also with the original MM7/8 games with Sergio's 2.x patches applied.) I find the stock color palette for MM7 to be exceptionally drab and washed out looking, even with the fact that in-game gamma works fine with DGVoodoo2.54. I found these palette settings make the biggest positive difference in MM7, but actually serve to improve the display for MM8, too (in Rodril's mod or originals, makes no difference.) Of course you can play with these palette settings to adjust to personal taste, along with Gamma if you use DGVoodoo2.54, which I can highly recommend for these games. since the elfes are already implemented as paperdolls, my question is, if there are the other races from mm7 (dwarves, goblins) going to be implemented too? It wasn't easy, but finally MM6 girls are ready to join your squads! It looks like all female bodyes have the same coordinates of their parts, but just in case, girla and girlc are based on knight pc02 body, girlb and girld are based on pc08 cliric. justl wrote: since the elfes are already implemented as paperdolls, my question is, if there are the other races from mm7 (dwarves, goblins) going to be implemented too? I don't think it happens. Perhaps in some time there will be a goblins, but dwarves appearing is looks unlikely. 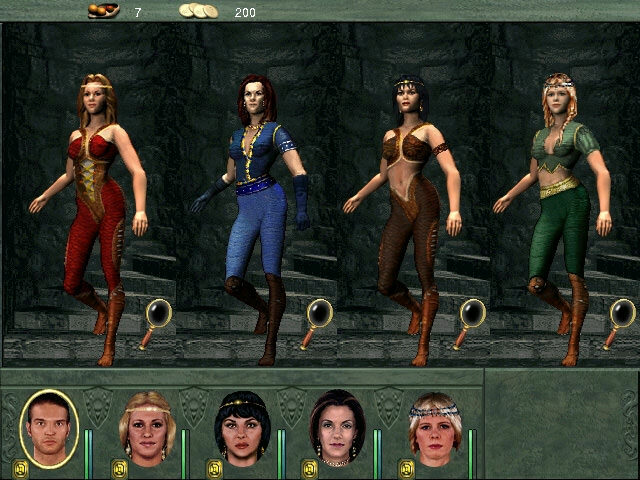 Porting dwarves will require the redrawing of all armor and clothing in the game! In that time to port the goblins/elves it's enough just to redraw the paperdoll. It is simpler to abandon this race at all or to present them in a humans growth. But I have another idea.. but i'm not sure about that. Anyway, what if we just leave all the characters and armor as is in the original mm7/mm6 and add to the game without adapting to a mm8 paperdolls? In that case, some armor you find in the chests will not fit to all of the characters the same. And you will need to find different armor types dor your characters. It doesn't looks like problem for me , but maybe I'm missing something...idk, anyway...then we can leave all races from all three games without any changes. Last edited by Jamesx on Feb 7 2018, 21:46, edited 1 time in total. I've been thinking about combining dwarven heads with minotaur bodies (they've got almost the same height) but I haven't had the time yet. Goblins would be quite easy though. Great work Jamesx! I like MM6 style faces much more than the MM7 and 8 ones, because real person faces give me a higher immersion feeling. And to Rodril: you are doing a wonderful job, thank you so much for it and all the effort! Yes, one of the very best MM mods. Great job as always, Rodril! Could it be made so that Priests of Light and Dark don't get +5 Earth and Body resistance upon promotion? Now they do, and I don't think that happened in the originals. 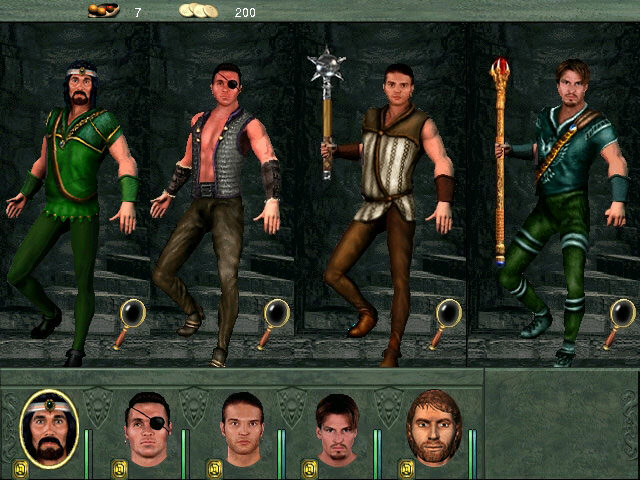 One of the Dark Elf portraits seems to be missing from the Jadame selection (Jasp Thelbourne). When you approach a circus tent other than the main and the circus isn't there, the game will crash. I was also thinking about the Shrine of the Gods... In MM6, it gives +20 to all stats and resistances. Now it leaves Mind and Body resistances untouched, but perhaps they should be included for symmetry? Just a thought! Last edited by Phobos on Feb 10 2018, 9:25, edited 4 times in total.